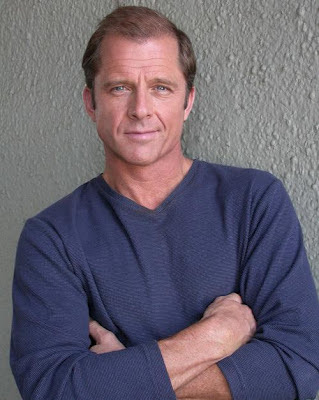 Actor/singer Maxwell Caulfield became an instant heartthrob in 1982 when Grease 2 hit the big screen. He also created a sensation in TV's Dynasty and The Colbys and has essayed countless MOWs on TV and stage plays internationally. Without question he has turned into a fine dramatic actor over the last 30 years. 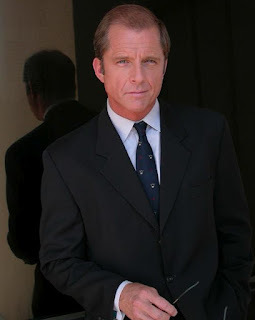 Originally from Great Britain, Caulfield has been married to actress Juliet Mills since 1980. He is currently rehearsing Euripides' Helen as King Menelaus at the Getty Villa in Malibu which opens September 6. In our chat he talks about Helen, some of his recent stage roles and those he would like to play. Are you rehearsing this morning? Actually we're teching so we start the day quite late so that we can take advantage of the twilight hours. That's right. You're performing in the amphitheatre in Malibu. Yeah...fantastic venue. It's really a privilege to be there, I can tell you. I'm really looking forward to seeing Helen there. I've never been to the Getty Villa before. Oh, haven't you? Well, the trick is to come early, 'cause from 6 o'clock on the Villa is available to the audience members - it's actually built into the price of the ticket - the galleries are open so you can steep yourself in that ancient culture, and then settle down and watch a high camp interpretation of Helen of Troy. Talk about this adaptation. What has been changed in the adaptation? Director Jon Lawrence Rivera has collaborated with playwright Nick Salamone to take Euripides's tale, which is not done very often...Trojan Women is done a lot, but Helen is not...even though we're talking about centuries, millenia of years that it could have been done...and so they unearthed this ancient story and have given it a degree of a Hollywood spin ...they haven't transplanted it to Hollywood but they have given it this shift where she is a major movie star who's gone into exile. It's very funny, but to try to explain it doesn't make sense, because it's still set in the ancient world. So you go, "How does that work? Celluloid didn't exist." But, for example, her Greek chorus is comprised of Marilyn Monroe's character Cherie from Bus Stop and Vivien Leigh's Blanche du Bois from Streetcar Named Desire and Elizabeth Taylor's Cleopatra. Historically, you go "Wait a minute, this is completely up the spout." It's very bold, certainly not like doing Shakespeare in modern dress. You could say that's convoluted as well. Somehow, they've pulled it off. We did a workshop of it about two months ago. The Getty goes in for a real development process. Jon Lawrence Rivera is a super guy and such fun to work for. He's a very generous director who's constantly amused by what we do. He's actually a very funny performer himself. To illustrate a point sometimes he will get up and show us what we're presently doing and what he'd rather we did do. He does it in such a charming way, you can't help but fall off your chair laughing. He's so spot on. And he's encouraged us to develop these characters from the beginning and to go with our gut instincts. He's let me basically barnstorm this role, and I'm having a field day with it. I don't want to give you too many preconceived notions but you have to fill that space, and it's a very big venue. How have they changed Menelaos ( ancient Greek spelling or Menelaus)? Not a lot. I'm not like some big shot studio chief or anything like that. It's not like you've gotta live with all this affectation as it were, it's not like that. I am still staggering back from 10 years of siege on the Trojan shore, 7 years lost in the Mediterranean. I'm trying to find Helen. It's hard to explain, but watching it, I think the audience will be amused. This pastiche, this veneer that's been added to it, somehow it does not only give it a more contemporaneous viewpoint but it also provides a lot of humor. Are you doing it in original dress or are the costumes contemporary? We haven't gotten into wardrobe yet, as limited as mine is. I spend half the show walking around with a sort of a shred of a flag from my armada wrapped around my waist and not much else. I've been shipwrecked. It's just an excuse to get you shirtless onstage, that's all! I know, but at the same time, it is written in the script. Frankly, I'm flattered that I'm still being asked to drop trou, as it were, or whatever the expression is. You did Cactus Flower off-Broadway last year. How was that? I really appreciate being a part of that cast and I also appreciate the ambition of the creative team. 2011 was a hot season in New York of really great innovative work, so the competition was great. We gave it a straight ahead production and it should have been stood on its head, reinvented. We played the Westside Theatre, which is really a premiere off-Broadway house, and we gave it the college try. Each time I go back to New York, I want to do something with a bit more of a bite to it. The role was a fun part for me on paper, and I should have made it work, and to an extent I did, but it's not top of my CD. You also did Billy Flynn in Chicago on Broadway a while ago, correct? Did you have fun with that? I had a ball. I also had had a glorious 8 week run in London prior to Broadway. It was one of the most memorable experiences of my career. My two leading ladies were absolutely sensational and I got to do West End Live, which is an annual summer promo they do in Lester Square on the West End. You play to the tourists, to the people and I got a chance to sing Billy's trademark tune, so I felt like a rock star. Is that the first musical you've done in a while? Yeah. I've not done enough of it. You can work and scratch out a living in the theatre, but, if you want to make money, you've got to hit the road. You've got to play big houses of 2, 3 thousand seaters with your name above the bill, do popular fare and reach out to the audience such as it is. Do you have a dream role that you want to play? Hang in there! You and Juliet (Mills) are terrific actors! See Maxwell Caulfield in Helen! Performances of Euripides’ Helen will be held Thursday through Saturday, September 6 through 29, 2012 at 8:00 p.m., with previews from August 30 through September 1. Tickets are $42 ($38 for students and seniors, $25 for preview performances). Tickets and further information are available by calling (310) 440-7300 or online. 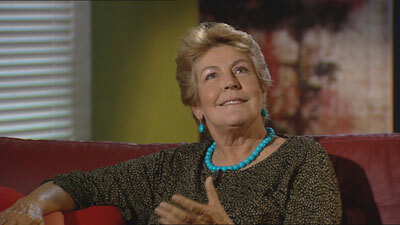 Actress, singer, activist turned hypnotherapist Helen Reddy was named the Queen of 70s Pop. 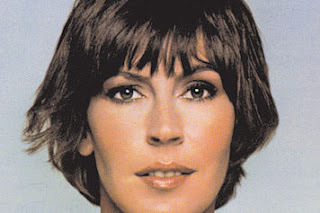 In 1973 she had three # One hit tunes, including of course "I Am Woman", which she co-wrote herself, not finding at that time a single song to record that satisfied her feminine wiles. Now living in Australia, Reddy seems relaxed, content, but still eager, like Norma Desmond, to 'return' to the biz , singing. In our chat she explains why, and talks candidly about the high ... and low points of her life. What prompted the comeback now? Well, I don't call it a comeback as much as a Renaissance. I retired ten years ago and went back to college and got a degree in clinical hypnotherapy at the age of 60. I went back to my native Australia and lived a very different life. Anyway, the genesis of going back to singing was my sister's 80th birthday in March. She asked if I would sing a duet with her, and I said OK...and it was so much fun, and it was so appreciated, and I thought, "I miss singing, I used to love doing this". So, that was kind of it. My sister's son, by the way, Tony Sheldon, who was in Priscilla Queen of the Desert in London and New York - we're very, very proud of him - he's just been back in Oz and visiting his mother and all his friends. He's back in New York now. I hope he does the show when it comes here. Talk about the venues where you'll be appearing. I'm at the Coach House in San Juan Capistrano on Friday, August 10 and the Canyon Club in Agoura Hills on the following night. I had chosen three nights before that, a few weekends ago. The first was at Croce's in San Diego, and not having sung in 10 years, I wanted a small cozy kind of venue to break in. The first thing I said to the audience was, "I haven't done this in 10 years. If I make a mistake, cut me some slack." They were wonderful. The following two nights we were at St. Genevieve High School in Panorama City, and I booked those three nights from Australia. Dan Horn, who was the principal of the school, is a long time friend of mine, and that was another perfect spot to sort of 'get back on the horse'. And how do you feel? Do you feel good again? Will you give us a little preview of what you'll be singing? Well, it won't be the greatest hits, although I will do some of them. I wanted to sing the songs I wanted to sing. I'm not a nostalgia act. However, there are a lot of album cuts (they didn't get any airplay, but fans will be familiar with them) that I still remember and love, so I'm doing a lot of those ballads. I'm doing "I Am Woman", but in a different way. I feel much more relaxed. Who are your favorite singers? Did any one in particular inspire you? There are so many wonderful, wonderful singers...when I was young, Peggy Lee was definitely a very big influence on me. And then I realized I was imitating her, and that wasn't a good thing, so I started listening to more male vocalists. This was in my teens, and I also listened a lot to big bands, because there was so much music in them. I didn't have to listen vocally; I could listen to the orchestra. I don't know if that makes sense. Yes, because the whole thing works together. The musicianship is so important because it dictates what you're doing. You've done Broadway. Tell me about Shirley Valentine. I didn't do that on Broadway. The only show I did on Broadway at the Music Box Theatre was Blood Brothers. I also did it on the West End of London and on tour in the UK. I've done four productions of Shirley Valentine, but regional. How did you like doing those shows? Totally. I mean Shirley Valentine, what a wonderful leading role! You play 14 characters just in Act I, Scene I. It is a true tour-de-force, and I loved every second of it. I'm a huge fan of Willy Russell. Blood Brothers is a different type of role from Shirley, but it's still done with a Liverpool accent, although Shirley's is a little more upmarket than Mrs. Johnson's. Did you like performing in theatre more than on the concert stage? It's apples and oranges. I enjoy both. Do you keep up with musical trends and how things have changed? Quite honestly, I've been out of the music business so long now, I really couldn't say. The only music I listen to is music that I've got, the CDs that I can play for myself. A lot of what's on the radio is unintelligible for me. But there are stations that play songs from certain eras...I'm OK with that. A lot of today's music is simply voice and drum. And the voice usually isn't singing, it's talking. Is your favorite music from the 30s and 40s? Well, for me, it's the 70s. But, there were some wonderful songs written in the 1930s. I'd say the 20s through the 50s, there was some wonderful music written. When you made it in the early 70s was it overwhelming for you to accept the tremendous success? In 1973 I had three Number One hits on the charts. 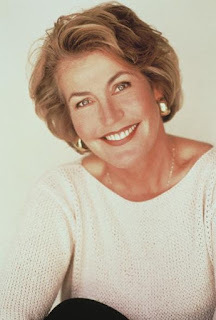 I had my own TV show The Helen Reddy Show on NBC. There was a tremendous amount going on. It was also the same year my son was born, in December of 72, my mother died in July of 73, my father died in September of 73; then an aunt I was very close to, I was named for her, she virtually raised me - she died in January 74, so there was a lot of private grief going on at the same time as the success. Work is work, and I'm glad I had all the opportunities that I had, but I think living life to the full is the most important thing. You're a hypnotherapist. What kind of work does that entail? I practice clinical hypnotherapy in Australia, not on a regular basis, but it's something I enjoy very much. I particularly specialize in past life regressions and reuniting people with loved ones who have passed over. It's very rewarding. You wrote a book in 2006, correct? Yes, The Woman I Am. It's available on my website. It's a good read. I did it all myself. Are you getting psyched about the two concerts next weekend? Yes, I'm really looking forward to them. I'm also flying up to Oakland tomorrow (Saturday, August 4) for an AIDS benefit. I'll do "You and Me Against the World" and "I Am Woman". What a down-to-earth woman! 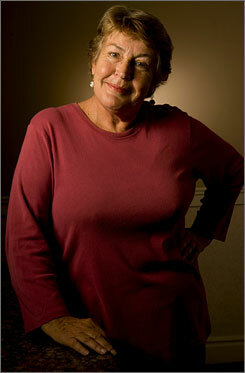 Helen Reddy remains a true champion and great human being! Catch her next week.